The Board of Directors of the Martin Luther King Jr. Observance Day Association, Inc. held a reception on Sunday, December 14, 2014 at the King Frazier Student Center at Savannah State University to announce the 2015 MLKing, Jr. Parade Marshals and Civil Rights activist. and celebrate their great achievements. 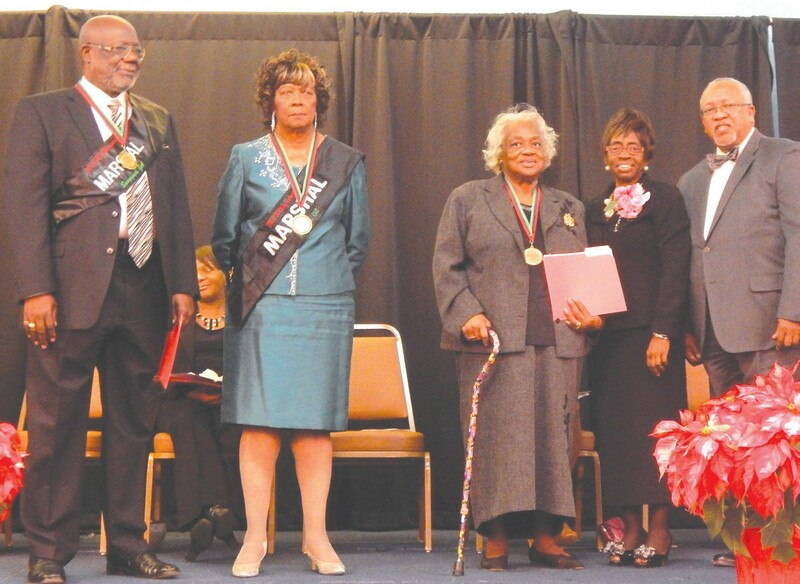 The 2015 Parade Marshals are: Mrs. Ernestine J. Jones, a retired educator of the Beaufort County School System and an outstanding community and church activist. Mrs. Jones also serves on the Chatham County Board of Election. Our second Parade Marshal is Dr. J. Alphonso Dandy, the First Black Optometrist in the City of Savannah, he retired in 2004. Dr. Dandy now serves as the Executive Director of the Antioch Foot and Ankle Group. Our Civil Rights Activist is: Mrs. Gussie Augustus is a retired nurse. She has a long and impressive history with Savannah Branch of the NAACP. Mrs. Augustus was an active participant in the Civil Rights Movement of the 1960’s for the cause of equality and integration. She was jailed many times during the movement and dubbed the title “Jailhouse Queen”. Judge Leroy Burke, III delivered the Charge to the honorees. Carolyn Blackshear MLKing, Assoc. sashed the honorees. Our 2015 Theme is “His Dream: Inspiration for Freed and Justice for All”. Our Theme Winners are: 1st Place Winner –Trenton Q. Huerto – Oglethorpe Academy – 6th Grade; 2nd Place Winner – Auayzina Clark – Oglethorpe Academy – 6th Grade; 3rd Place Winner – Evervett Manning, Jr. – Memorial Day School – 10th Grade.